Time management tools today are innovative and clever. The selection from which to choose is huge and includes both electronic devices and paper planners. Many people operate this way. They use a combination of paper and electronic. Others operate strictly with a paper planner, and some are electronic only. The key is to keep it simple. If you combine tools, you should be sure they don’t duplicate functions. For example, don’t try to operate on two calendars. Here is an easy way to think of and use time management tools. Think of them as buckets. 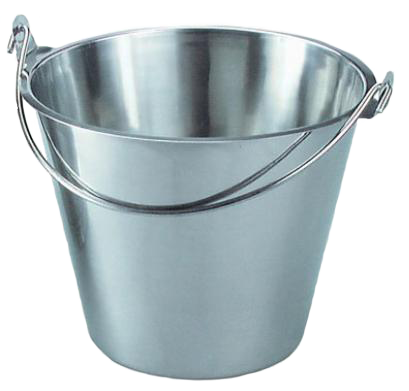 To ensure nothing falls through the cracks, I suggest you always carry four buckets, which are essential for effective time/activity management. The monthly calendar is for future events and activities. We use the monthly calendar for all future appointments, dates, and deadlines. Many people today use their Outlook calendar as bucket number one. The daily bucket is for today’s appointments, your action list and things that pop up during the day that you need to do. Use the memory bucket for documenting important information, delegating to and receiving delegation from others and tracking a sequence of events and information you receive. Based upon your style, pick paper or electronic tools you will really use. If you are a visual person, you may be most comfortable with paper. Don’t let your peers intimidate you into going with an electronic tool if you know you won’t use it. The key is in finding what works for you, and then making sure you carry your time in buckets.